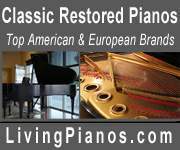 This 7'6" 1999 C7 spent a few years in Yamaha’s “Piano Reserve” program at the Metropolitan Opera in NYC. A dealer in NJ offered it for sale in 2004 which is when we purchased it. We had it outfitted with the PianoDisc system at that time. Since then we have moved to Pennsylvania. Although we enjoy this piano very much, we are aging and preparing to downsize our residence. 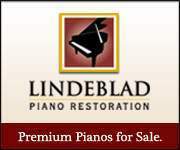 The piano has been carefully maintained by a technician every 6 months and we have kept our home at 40% humidity. So this piano is in near mint condition. It comes with the standard Yamaha bench seat, a quilted padded cover, the PIanoDisc electronics with record capability, remote control and 14 PianoDiscs. All but one of the discs are classical music. Buyer pays shipping.